First up is Debby Kratovil from Debby Kratovil Quilts. 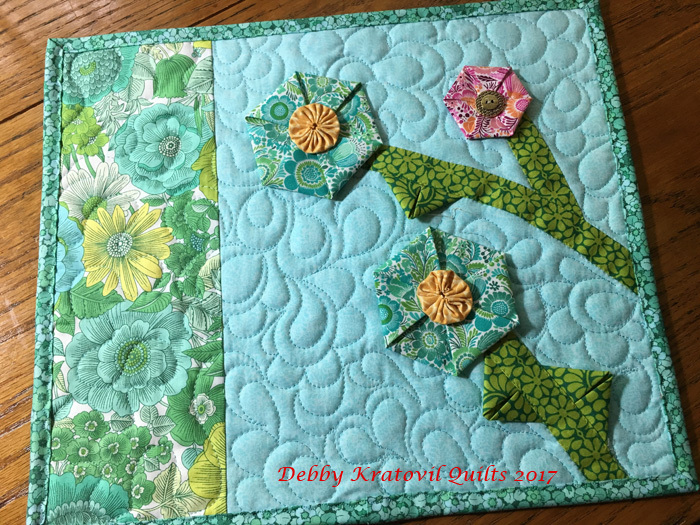 She has used the cheery floral Liberty Garden prints and a cool folded hexie technique to create a sweet fabric garden. Check out her tutorial, and then head over to Debby's blog to enter for a chance to win a fat quarter bundle of some Liberty Garden prints. 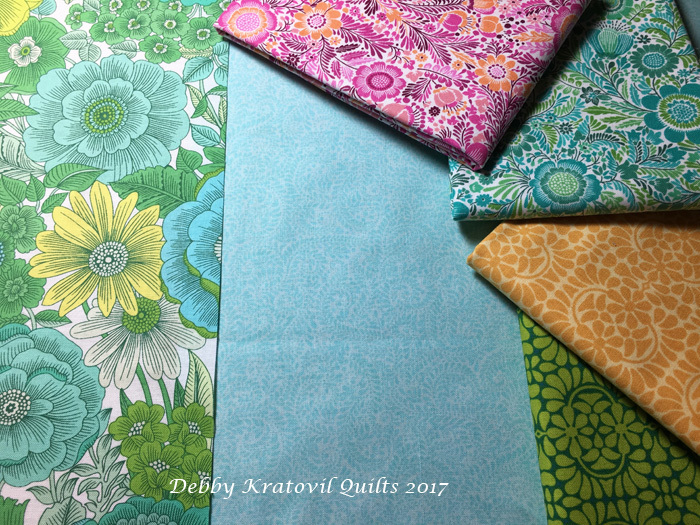 Click here to see all 35 Liberty Garden prints and download two free quilt patterns for use with the collection. Liberty Garden is a perfect collection for Spring. The flowers and colors celebrate all the newness that this season brings our way. I chose six SKUs from the collection for the project I had in mind. 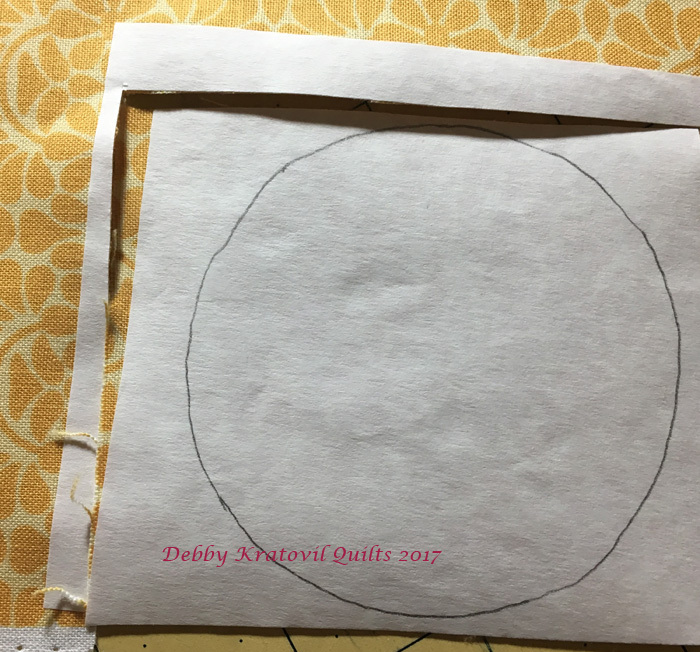 Other techniques begin with circles. Who can cut a perfect circle? Not me! Plus, there aren't any points of orientation with a circle. 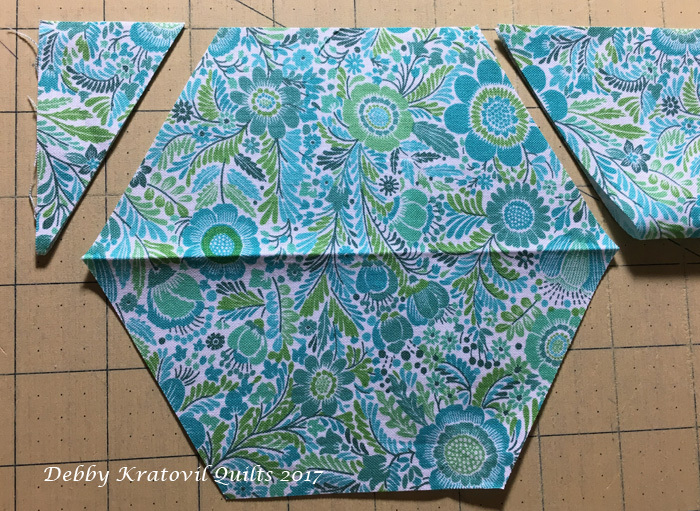 I like to start with a hexagon. 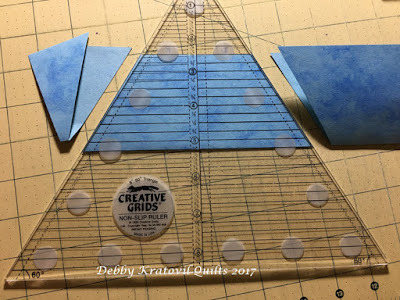 These are easily cut using a multi-size 60 degree ruler. 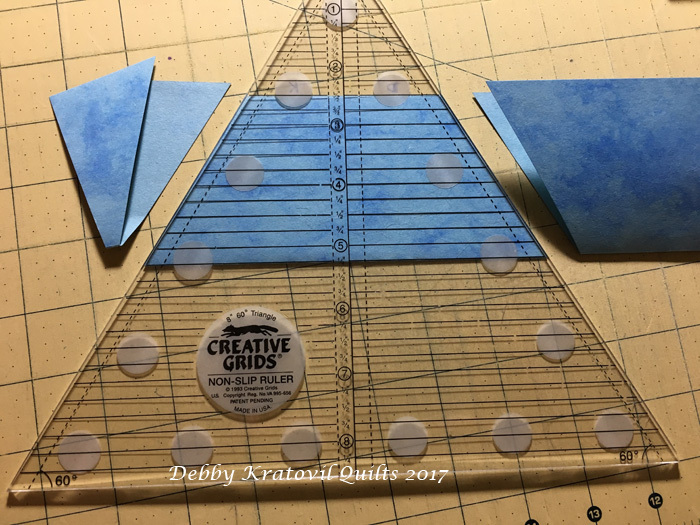 This is my Creative Grids ruler. I like to practice with construction paper. That way, if I make a mistake, it's only paper! 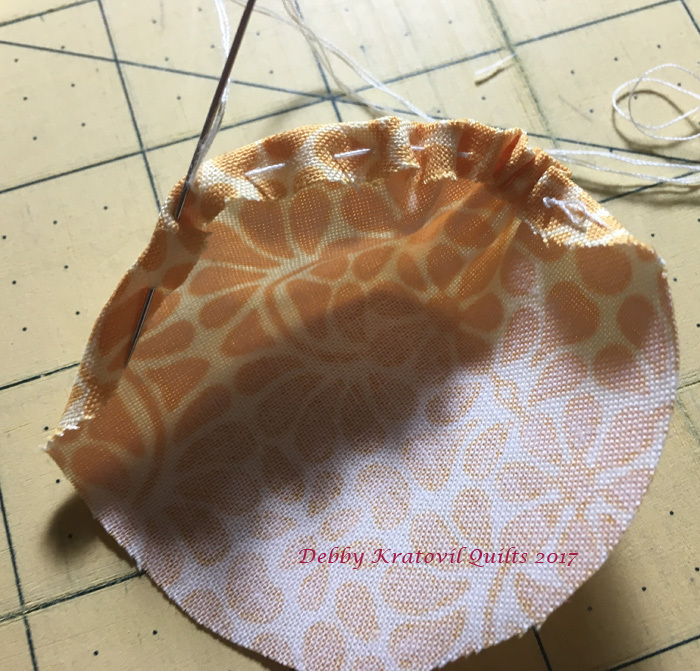 I cut a 5-1/2" strip of the first floral and folded it in half, with fold side down and raw edges at the top. This is approximately twice the height of my finished folded hexagon. 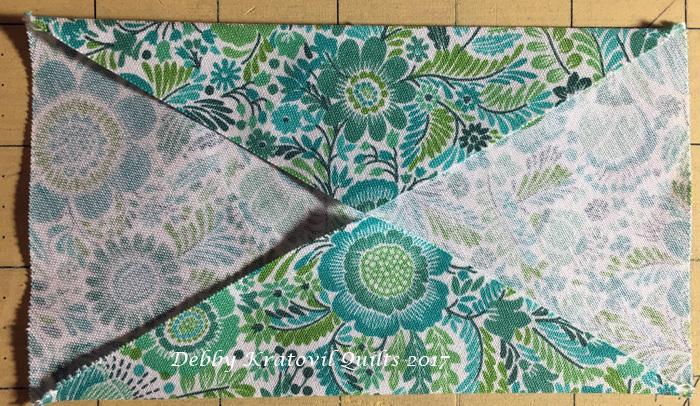 Then I cut the folded fabric, aligning the 2-1/2" horizontal line at the raw edges. (2-1/2" is half the finished height of the 5-1/2" strip). Slice on both sides of the ruler. Open it up and - magic! A perfect hexagon. 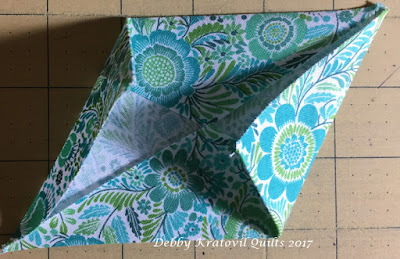 Now, fold two opposing points into the center. Notice that the fold runs from two other opposing points. Press well. Now, this gets tricky to show, but easy to do: Fold the bottom right point (in pic above) up to the center. 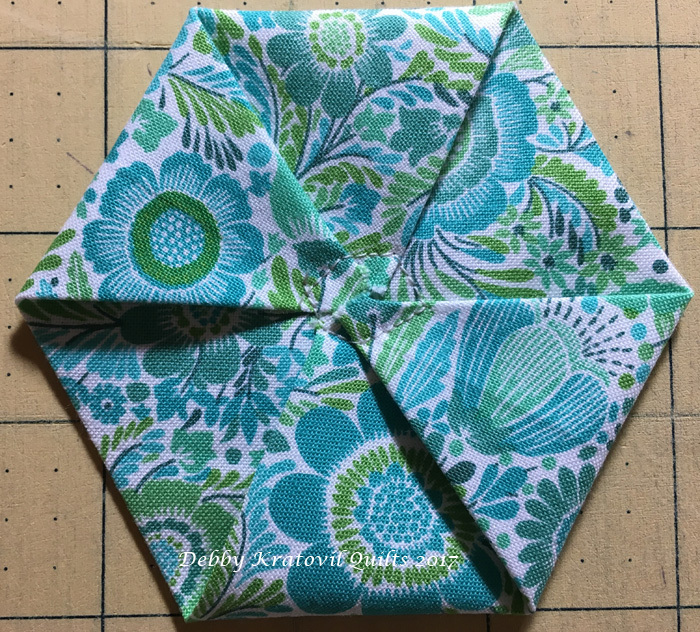 Repeat for the top left corner, folding down to the center. Press. 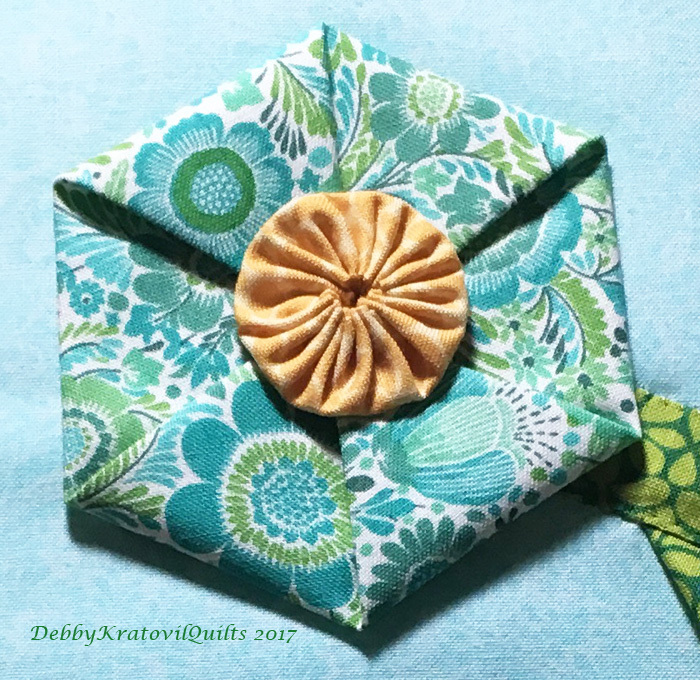 Sometimes I use pins to hold the folded fabric in place. You now have two remaining points to bring to the center. Press and hand or machine stitch. 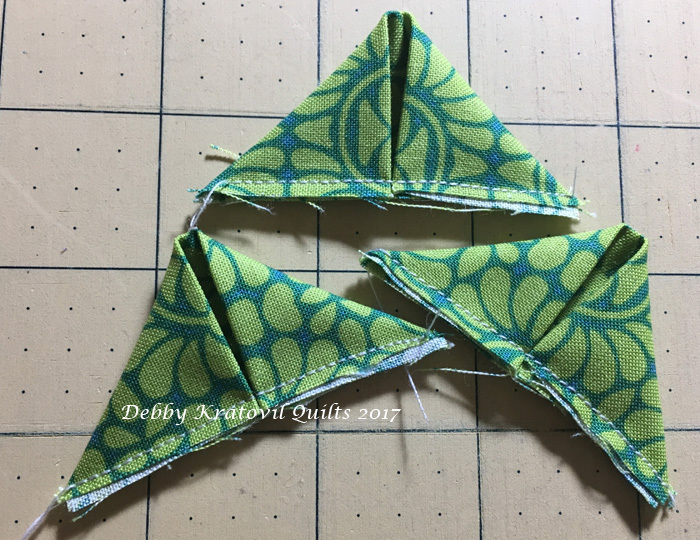 The center stitching will be covered with a yo-yo (or a button). 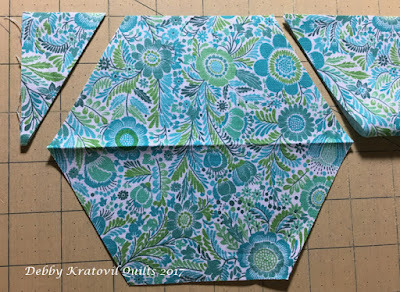 Gather outer edge (1/4" folded under). The stems of my hexagon flowers were made with a 2-1/8" x 20" strip sewn into a tube. Pull it right side out using a safety pin. 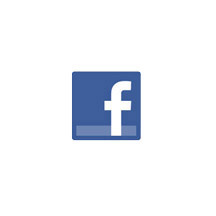 Press flat. 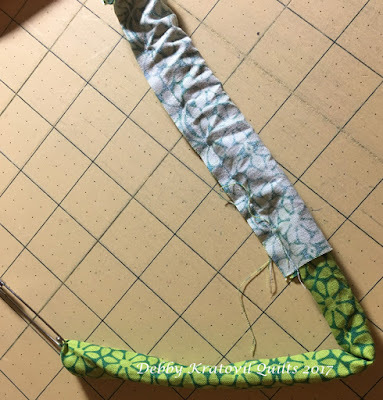 Tube of fabric for my stems. 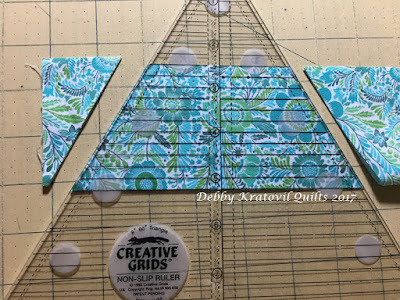 The background of my mini was cut 10" x 12-1/2" (1705-84). 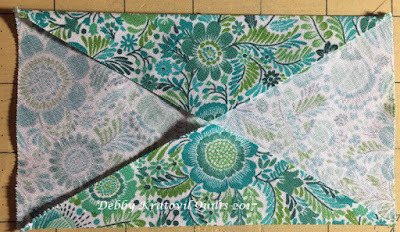 The side border was cut 4-1/2" x 12-1/2". All other elements were cut and described above. Here are the links to my 3-D Folded Hexagon pattern (with circle and hexagon templates included) and Making Prairie Point leaves is part of my FREE PATTERN: Trash Basket Batiks on Craftsy. Thanks Debby! 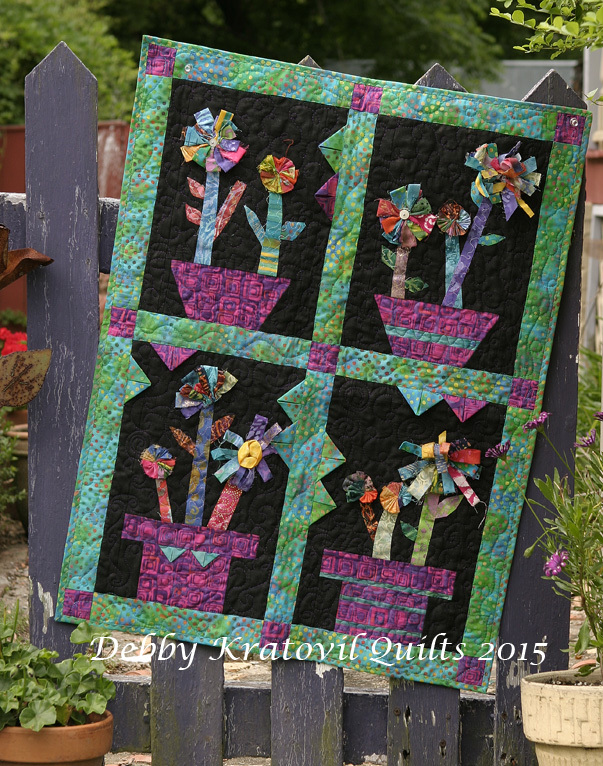 Head over to Debby's blog for a chance to win some Liberty Garden prints! And make sure to follow along for all four days of our blog hop! What a pretty little wallhanging. Looking forward to trying this technique. I love 3D art quilts. Very cute! Those are really unique little flowers. Love them. Adorable!!! I love the dimensions in this mini.